1. Parties. In this document, “we,” “us,” “our”, and “H2O” refer to H2O Wireless and H2O BOLT; “you,” “your,” “customer,” and “user” refer to an account holder or user of our Service; “Device” or “Devices” means any phone, device, accessory, or other product that we provide you, sell you, or that is active on your account; and “Service” or “Services” means our offers, rates, or service plans. For any questions, please call Customer Service at 1-800-643-4926. 2. General. This Agreement is the contract under which we provide and you accept all our Services or Devices, including but not limited to your prepaid Services. This Agreement hereby incorporates by reference the terms associated with the Service you select and all additional or updated terms at h2owirelessnow.com and h2obolt.com. H2O BOLT is a hotspot service; any terms and conditions herein that are not applicable to data service (e.g. terms regarding minutes and messaging) do not apply to H2O BOLT. YOU ACCEPT THIS AGREEMENT WHEN YOU: (A) ATTEMPT TO, OR IN ANY WAY USE, THE SERVICES, (B) PAY FOR ANY SERVICES, OR (C) ACCEPT THE SERVICES THROUGH ANY PRINTED, ORAL, OR ELECTRONIC STATEMENT. BY USING THE SERVICES, YOU REPRESENT THAT YOU HAVE THE LEGAL CAPACITY TO ACCEPT THIS AGREEMENT. IF YOU DO NOT AGREE WITH ANY TERMS IN THIS AGREEMENT, DO NOT USE THE SERVICES. 3. Using Our Services. Service is for personal use in the U.S. only. You agree not to use our Services in any unlawful, fraudulent, or abusive manner. You may not resell or lease our Services to anyone without our prior written approval. We may, without notice, limit, suspend, or end your Service as follows: if you (a) breach this Agreement, (b) make a misrepresentation to us, (c) “spam” or abusively message or call, (d) modify your Device from its manufacturer's specifications, (e) use the Services in a way that adversely affects our network or other customers, (f) allow anyone to tamper with your Device, or (g) harass our employees or agents. We may terminate your Services at any time by providing you prior notice, and we may terminate your service at any time without notice for any conduct that we believe violates this Agreement. We may also temporarily limit your access to the Services for any operational or governmental reason. We are not responsible for any opinions, advice, statements, applications, or other information provided by third parties and obtained through our Services, including the Internet. You are responsible for any use of the Services through any Device on your account including, but not limited to, use by minors. You acknowledge that the Services are provided through the nationwide wireless network of an underlying service provider. 4. Activating Prepaid Service. Prepaid Service is active at the time of your purchase of a prepaid Device or upon first call. You must maintain a positive account balance on your H2O Device in order to keep your account active. Depending on the type of plan you choose to activate on your Device, terms and conditions may vary. For plan details, consult the applicable plan or refill card terms or visit h2owirelessnow.com or h2obolt.com. 5. Account Authorization. You authorize us to make changes to your account, including adding new services and features, upon the direction of any person able to provide information we deem sufficient to identify you. You consent to our use of regular mail, autodialing equipment, email, text messaging or other reasonable means to contact you to inform you of our services or other matters we believe may be of interest to you. 6. Lost or Stolen Equipment. Upon your acceptance of your Device, all risk of loss, damage, theft, or destruction of your Device is borne by you. Call Customer Service immediately if your Device is lost or stolen because you may be responsible for usage charges before you notify us of the alleged loss. Once you notify us, we will suspend your Service. We will not credit or refund any account balance as a result of loss or theft of your Device. You agree to cooperate with us in investigating suspected unlawful or fraudulent use. 7. Coverage. Coverage is not available everywhere. Our coverage maps approximate our anticipated wireless coverage area and are available at h2owirelessnow.com and h2obolt.com. The map includes coverage on the network as well as coverage we make available to you through agreements with other carriers ("off network" or “roaming”). There are gaps in our coverage that, along with circumstances beyond our control (e.g. network capacity, interference from buildings and other structures, terrain and weather), may impact availability and quality of our Services. 8. Roaming. Both domestic and international roaming are not available with any H2O Service. 9. Refunds and Returns. Account balances are not refundable, transferable, or redeemable for cash or credit. To the fullest extent permitted by law, H2O Devices are sold “as is” with no manufacturer warranty. H2O Devices purchased on h2owirelessnow.com or h2obolt.com are subject to H2O’s 14-day return policy found at h2owirelessnow.com and h2obolt.com. H2O Devices purchased in a retail location are subject to the return policy of the place of purchase. 10. Your Device and Number. We do not manufacture any Device that is associated with our Services and as such we are not responsible for any defects, acts, or omissions of the manufacturer. The only warranties on your Device are any limited warranties extended by the manufacturer directly to you or passed on to you through the vendor you purchased the phone from. You agree that you will not use H2O Devices with any non-H2O service or on any other network. Except for any legal right you may have to port/transfer your phone number to another carrier, you do not have any rights in any personal identification number or identifier we assign you. We will notify you if we decide to change or reassign them. If your prepaid account is de-activated, your phone number may be re-assigned. Your wireless phone number and name may show up when you call someone. If you do not want people you call to receive the number assigned to your phone, call Customer Service about Caller ID blocking. Your H2O device may not be 4G enabled. 11. Transferring/Porting Your Number. You must have an active H2O account to transfer, or “port,” your phone number. Call Customer Service if you wish to port your phone number from another service provider to H2O. If you request your new service provider to port a number from us, and we receive your request from that new service provider, we will treat it as notice from you to terminate our Service for that number upon successful completion of porting. If you port your number away from us, the terms of this Agreement still apply. You will not be able to transfer any unused balance on your account to your new service. After the porting is completed, you will not be able to use our Services for that number. We do not guarantee that number transfers to, or from, us will be successful. 12. Charges. You agree to have your prepaid account debited for all usage and other charges associated with your Device, even if you were not the user of, and did not authorize, its use. Charges include, without limitation, monthly recurring access charges, charges based on actual usage and all applicable taxes and regulatory fees. You agree that we may deduct from your account balance all federal, state and local taxes, fees, and other assessments that we are required by law to collect and remit to the government on the Service we provide you. Directory assistance, premium SMS, no answer/busy transfer, caller ID, caller ID block, and roaming not available with any plan. 3-way calling, call forwarding, call waiting, and voicemail features included; talk rates apply where applicable. When calling outside the U.S., additional charges will apply. Advertised international rates may not apply to calls made to foreign mobile phones or to off network/special locations and in some instances may be higher. International Long Distance (“ILD”) balance does not roll over upon monthly plan expiration. ILD cannot be replenished if used prior to the expiration of your monthly plan. For pay as you go plans, international calls are charged at the applicable international rate plus airtime, except for select international destinations that are included at no extra charge (i.e. airtime charge only). Restrictions on certain countries may apply. All plans, rates and fees are subject to change without notice. For current charges and fees, call Customer Service or visit h2owirelessnow.com and h2obolt.com. 13. Minutes and Messaging. Call times are measured in whole minutes and rounded up to the nearest minute. All phone usage (including inbound/outbound calls, voicemail deposits/retrievals, inbound/outbound messaging, international calls, and directory assistance), incurs charges. We may impose limits on the number of voicemail, text, e-mail, or other messages that can be retained through your account. Indicators of messages on your Device, including mailbox icons, may not always provide an up-to-date indication of new messages and you may need to manually reset or clear your mailbox indicator. Legitimate messages may be inadvertently interrupted by software aimed at prevention of unsolicited messages. 14. Text and Picture Messaging. Text messages are typically limited to 160 characters per message, but such character limitation may vary depending on your device. All messages, including text and picture messages are charged when sent (per recipient) or received, regardless of whether they are read or unsolicited. Data usage applies for sending and receiving MMS. H2O is not responsible for any of the data activity sent to or received on your Device, regardless of who initiates the activity. For messages delivered to your Device in multiple parts, you will be charged for each part of the message received. When a single message is delivered from your Device to multiple recipients, you will be charged for one message per each recipient. H2O reserves the right to limit picture message size at any time. In order to protect our network and Services, H2O may issue separate charges, limit the amount of data transfer, or otherwise limit or terminate Services. Memory limitations on your Device may prevent some data or content from being stored. H2O is not responsible for the failure to store data or content nor the deletion of such data or content. Picture and video messaging consume data and are only available on handsets programmed for data. 15. Data Services Restrictions. H2O’s Services may not be used to transmit content or messages that are illegal, fraudulent, abusive, or obscene; or that would adversely affect our customers, reputation, property, network, or Services. You are prohibited from using our Services for unsolicited commercial activity or unsolicited advertising. H2O has the sole discretion to limit, suspend, modify, or terminate accounts without notice to anyone using our Services in any prohibited manner. 16. Data Service and Charges. A capable device is required for 4G LTE speeds. A compatible device and H2O SIM Card are required for H2O BOLT service. H2O data is up to 4G speed up to the selected plan allotment, if applicable (e.g. 2.5 GB for the $60 H2O Wireless plan), then reduced to up to 128 Kbps for the remainder of the plan cycle. Actual speeds may vary depending on location and device capability. The H2O feature card cannot be used for activation; a monthly plan must have been loaded prior to loading first data card. Feature card balance will carry over as long as account remains active and cannot be used with pay as you go plans. Data allotment for monthly plan is consumed before feature card. Data usage is measured in kilobytes and is rounded to the nearest KB each use. Data usage applies for sending/receiving MMS. For data capable Devices not provided by H2O, manual or auto configuration is needed for MMS and/or data settings. Your account balance will be deducted for all data directed to the Internet address (“IP address”) assigned to your Device, regardless of who initiates the activity or whether your Device actually receives the data. This includes, but is not limited to, the amount of data associated with the particular information/item (e.g. game, ringer, email, etc. ), additional data used in accessing, transporting and routing this information/item on our network, data from partial or interrupted downloads, re-sent data, and data associated with unsuccessful attempts to reach websites or use applications. Based on these and a number of other factors (e.g., the specific application, network performance, etc.) data used will vary widely, even for the same activity. Estimates of data usage, for example, the size of downloadable files, will not necessarily be an accurate predictor of actual usage. 17. Unlimited Plan Abuse. 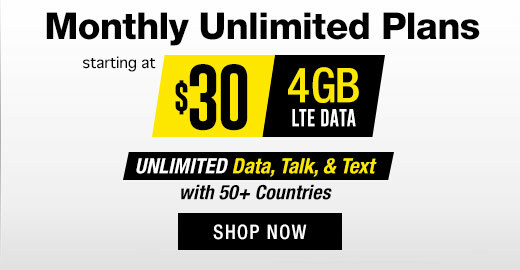 For any Service that includes unlimited features, “unlimited” does not mean unreasonable use. H2O’s unlimited voice features are provided solely for dialogue between two individuals and for non-commercial use. Other uses have a disproportionate impact on network resources and are therefore considered unreasonable. Unreasonable voice use includes, but is not limited to, the following: monitoring services, transmission of broadcasts, telemarketing, call center services, autodialed calls, an abnormally high number of conference calling, calls, or messages, and/or calls of abnormally long duration. H2O’s unlimited data or messaging features are provided solely for purposes of non-commercial messaging, Internet browsing, e-mail access, and the non-continuous streaming of data (e.g. downloading files). W While most common uses are permitted by our data and messaging features, there are certain uses that cause extreme network capacity issues and are therefore prohibited. Our data and messaging services may not be used: (a) to generate excessive amounts of Internet traffic through the continuous, unattended streaming, downloading, or uploading of videos or other files, (b) to operate hosting services, (c) to maintain continuous active network connections to the Internet such as through a web camera or automated machine-to-machine connection or peer-to-peer (P2P) file sharing, (d) to disrupt e-mail use by others using automated or manual routines, including, but not limited to "auto-responders" or cancel bots or other similar routines, (e) to transmit or facilitate any unsolicited or unauthorized advertising, promotional materials, “spam,” unsolicited commercial or bulk e-mail or messaging, (f) for activities adversely affecting the ability of other people or systems to use either H2O's wireless services or other parties' Internet-based resources, including, but not limited to, "denial of service" (DoS) attacks against another network host or individual user, (g) for an activity that tethers or connects any device to personal computers or other equipment for the purpose of transmitting wireless data over the network (unless customer is using a plan designated for such usage), (h) as a dedicated data connection, (i) for abnormally long data transmissions, or (j) for any other reason that, in our sole discretion, violates our policy of providing “unlimited” Services for non-commercial use. If you use wireless services in any manner that is prohibited, we (i) may interrupt, suspend, cancel, or terminate your wireless data services without advance notice; and (ii) take any action to protect our networks and/or our rights and interests. 18. Prepaid Refills. H2O Wireless Monthly plans expire 30 days after loaded to your account. H2O Wireless Pay as You Go plans and H2O BOLT plans expire in accordance with the expiration date provided with your purchased refill card. Unused minutes or data allowance do not roll over. If you switch between plans or renew a plan before expiration, the features associated with your prior plan will no longer be available (i.e. no stacking). Credits to your prepaid account will be valid for a limited time from purchase, in accordance with the terms of your plan and/or the expiration date provided in conjunction with your purchased refill card. If your account balance falls to zero while you are on a call, the call will be disconnected. If your account is inactive, you will not be able to utilize your wireless device for any purpose. Your account and phone number will be cancelled if the balance remains at $0 for 30 consecutive days or more. H2O refills can only be used with H2O Devices. Credits cannot be transferred from one account to another. If your account becomes inactive, we may de-activate your account and you may lose your phone number. If you wish to use Services after your account has been de-activated, call Customer Service for reactivation. There may be a charge to reactivate and we cannot ensure that the same phone number will be available. 20. TTY Access. A TTY (also known as TDD or Text Telephone) is a telecommunications device that allows people who are deaf or hard of hearing, or who have speech or language disabilities, to communicate by telephone. TTY does not work with all Devices. If you have a digital wireless TTY compatible Device, it is possible to make calls, including 911 calls, with a TTY. If you have questions concerning your Device’s TTY compatibility, please contact Customer Service or visit h2owirelessnow.com. 21. Disclaimer of Warranties. WE MAKE NO REPRESENTATIONS OR WARRANTIES, EXPRESS OR IMPLIED, INCLUDING, TO THE EXTENT ALLOWED BY APPLICABLE LAW, ANY IMPLIED WARRANTY OF MERCHANTABILITY OR FITNESS FOR A PARTICULAR PURPOSE CONCERNING YOUR SERVICES OR WIRELESS DEVICE. SERVICE IS PROVIDED ON AN “AS IS” BASIS. WE DO NOT PROMISE UNINTERRUPTED OR ERROR-FREE SERVICES AND DO NOT AUTHORIZE ANYONE TO MAKE ANY WARRANTIES ON OUR BEHALF. YOU AGREE TO HOLD US HARMLESS FOR ALL SUCH SERVICE ISSUES. 22. Limitation of Liability/Indemnification. NEITHER WE NOR OUR VENDORS, SUPPLIERS OR LICENSORS SHALL BE LIABLE FOR ANY DAMAGES ARISING OUT OF OR IN CONNECTION WITH: (A) ANY ACT OR OMISSION BY YOU, OR ANOTHER PERSON OR COMPANY, (B) PROVIDING OR FAILING TO PROVIDE SERVICES, INCLUDING DEFICIENCIES OR PROBLEMS WITH YOUR WIRELESS DEVICE, OUR NETWORK COVERAGE OR SERVICES (E.G., DROPPED, BLOCKED, INTERRUPTED CALLS/MESSAGES, ETC. ), (C) ANY HEALTH-RELATED CLAIMS ALLEGEDLY ARISING FROM THE USE OF SERVICES, ANY WIRELESS DEVICES, OR RELATED ACCESSORIES, (D) CONTENT OR INFORMATION ACCESSED WHILE USING OUR SERVICES, SUCH AS THROUGH THE INTERNET; (E) INTERRUPTION OR FAILURE IN ACCESSING, OR ATTEMPTING TO ACCESS, EMERGENCY SERVICES FROM YOUR PHONE, INCLUDING THROUGH 911, E911 OR OTHERWISE, OR (F) EVENTS DUE TO FACTORS BEYOND OUR CONTROL, INCLUDING ACTS OF GOD, WAR, RIOT, STRIKE, OR ORDERS OF GOVERNMENTAL AUTHORITY. IN NO EVENT SHALL WE BE LIABLE FOR ANY INDIRECT, INCIDENTAL, PUNITIVE, SPECIAL OR CONSEQUENTIAL DAMAGES, OR DAMAGES FOR LOSS OF PROFITS, REVENUE, OR USE INCURRED BY YOU OR ANY THIRD PARTY, WHETHER IN AN ACTION IN CONTRACT, TORT, OR OTHERWISE RELATED TO PROVIDING OR FAILING TO PROVIDE SERVICES IN CONNECTION WITH A DEVICE. YOU ALSO AGREE TO INDEMNIFY US FOR ANY CLAIMS BY THIRD PARTIES AGAINST US ARISING OUT OF THE USE OF OUR PRODUCTS OR SERVICES. IF ANOTHER WIRELESS CARRIER IS INVOLVED IN ANY PROBLEM (E.G. “ROAMING”), YOU AGREE TO ANY LIMITATIONS OF LIABILITY IN ITS FAVOR THAT IT IMPOSES. 23. Mandatory Arbitration of Disputes. YOU AND H2O AGREE TO SUBMIT ANY AND ALL DISPUTES TO BINDING ARBITRATION OR SMALL CLAIMS COURT. DISPUTES INCLUDE ANY CLAIM ARISING OUT OF THIS AGREEMENT WHETHER THE CLAIM AROSE BEFORE THIS AGREEMENT OR ANY PRIOR AGREEMENT WITH US, IS THE SUBJECT OF CURRENT CLASS ACTION LITIGATION TO WHICH YOU ARE NOT A CERTIFIED CLASS MEMBER, OR MAY ARISE AFTER TERMINATION OF THIS AGREEMENT. THIS AGREEMENT DOES NOT PRECLUDE YOU FROM BRINGING ISSUES TO THE ATTENTION OF FEDERAL, STATE, OR LOCAL AGENCIES. ARBITRATION WILL BE GOVERNED BY THE AMERICAN ARBITRATION ASSOCIATION (“AAA”) UNDER ITS WIRELESS INDUSTRY ARBITRATION RULES, WHICH ARE PART OF THIS AGREEMENT BY REFERENCE AND ARE AVAILABLE BY CALLING THE AAA AT 1-800-778-7879 OR BY VISITING WWW.ADR.ORG. THE ARBITRATOR MAY AWARD ANY FORM OF INDIVIDUAL RELIEF AND MUST HONOR THE TERMS IN THIS AGREEMENT. ARBITRATION WILL TAKE PLACE IN THE COUNTY OF YOUR BILLING ADDRESS, BUT IF YOUR CLAIM IS FOR $10,000 OR LESS, YOU MAY CHOOSE WHETHER THE ARBITRATION PROCEEDS IN PERSON, BY TELEPHONE, OR BY DOCUMENTS SUBMITTED TO THE ARBITRATOR. YOU FURTHER AGREE THAT WE MAY ATTEND ANY ARBITRATION BY TELEPHONE, VIDEO CONFERENCE, AND/OR DOCUMENT SUBMISSION. CLASS ARBITRATION AND CLASS ACTIONS ARE NOT PERMITTED. BOTH PARTIES ACKNOWLEDGE THAT BY AGREEING TO THIS SECTION, THEY WAIVE ANY RIGHT TO A JURY TRIAL OR PARTICIPATION AS A CLASS MEMBER IN CLASS ACTION LITIGATION/ARBITRATION. WE WILL NOT SEEK REIMBURSEMENT FOR OUR ATTORNEY’S FEES IN ANY DISPUTE, AND IF THE ARBITRATOR DETERMINES YOUR CLAIM TO BE FRIVOLOUS, YOU AGREE TO PAY FOR THE ENTIRE ARBITRATION COST. IF THE ARBITRATOR OR SMALL CLAIMS COURT AWARDS YOU A DOLLAR AMOUNT, WE WILL DOUBLE THAT AMOUNT UP TO AN ADDITIONAL $1,000, AND WE WILL REIMBURSE YOU FOR REASONABLE ATTORNEY’S FEES AND ARBITRATION COSTS. THE FEDERAL ARBITRATION ACT GOVERNS THIS AGREEMENT TO ARBITRATE. IF THE PROHIBITION ON CLASS LITIGATION/ARBITRATION CANNOT BE ENFORCED, THEN THE CLASS ACTION DISPUTE WILL NOT BE SUBJECT TO THIS AGREEMENT TO ARBITRATE. A PARTY WHO INTENDS TO PURSUE ARBITRATION OR RELIEF IN SMALL CLAIMS COURT UNDER THIS AGREEMENT MUST FIRST NOTIFY THE OTHER PARTY OF THE DISPUTE IN WRITING AT LEAST 60 DAYS IN ADVANCE OF INITIATING AN ARBITRATION OR SMALL CLAIMS MATTER. THE NOTICE MUST DESCRIBE THE NATURE OF THE DISPUTE AND RELIEF SOUGHT AND MUST BE MAILED TO: ATTN: DISPUTE RESOLUTION, 1411 W. 190TH STREET, SUITE 650, GARDENA, CA 90248, OR EMAILED TO DISPUTERESOLUTION@H2OWIRELESSNOW.COM. IF AFTER 60 DAYS, WE DO NOT RESOLVE THE DISPUTE, EITHER PARTY MAY INITIATE A SMALL CLAIMS MATTER OR ARBITRATION PROCEEDING BY FOLLOWING THE PROCEDURES SET FORTH IN THE FORMS FOR INITIATING ARBITRATION. FORMS FOR GIVING NOTICE OF DISPUTE AND INITIATING ARBITRATION CAN BE OBTAINED AT WWW.H2OWIRELESSNOW.COM/FORMS OR BY CALLING 1-800-643-4926. 24. Changes to your Service or this Agreement. We may change any terms, conditions, plans, rates, fees, expenses, or charges regarding your Service at any time. We will provide you with notice of such changes (other than changes to governmental fees, proportional charges for governmental mandates, roamer rates or administrative charges) by such means as we determine most reasonable. All changes to this Agreement will be posted at h2owirelessnow.com or h2obolt.com. Your Service is subject to our business policies, practices, and procedures. Any changes to this Agreement or your Service are effective 30 days after they are published on our website. If you choose to use your Service, increase your account balance, or make any payment to us on or after the effective date of the changes, you accept the changes. If the changes have a material adverse effect on you, however, you may terminate each line of Service materially affected only if you call us within 30 days of the changes going into effect. You understand that taxes, fees and other charges imposed by the government may increase or decrease at any time without notice and that such charges do not constitute a change to this Agreement or your Service. The following terms apply to the use of services, products, and websites provided by Locus Telecommunications, LLC and its subsidiaries, affiliates, agents, and licensors (collectively "H2O").BY USING THE SERVICE, OR ANY EQUIPMENT PURCHASED BY YOU FROM LOCUS (the “Equipment”), YOU AGREE TO BE BOUND BY AND COMPLY WITH THE TERMS AND CONDITIONS OF THIS Authorized Use Policy (AUP). In addition to other agreements between you and H2O, these terms explain the policies that govern your access to and use of our Website and Network. By accessing or using our Website or Network, you agree to these terms (collectively the "Policy"), as H2O may modify it from time to time. Modifications to this Policy are effective upon its posting on our Website. If you do not agree to accept and comply with the Policy, then do not access or use our Website or Network. and dealers of Locus. Exporting of Equipment outside the U.S. is strictly prohibited. You may NOT alter any of the hardware or software in this Equipment. Any and all H2O services are intended for use only within the 50 United States wherever the coverage is available. Equipment or Service may NOT be used for any unlawful, unauthorized purpose or in any way that damages our property or others' property, or interferes with, harms or disrupts our system or other operators' systems or other users. You are responsible for all content you transmit using the Service. You may not install any amplifiers, enhancers, repeaters or other devices that modify, disrupt or interfere in any way with the radio frequency licensed to us to provide Service. All laws must be complied with while using the Service and will not transmit any communication or data that would violate any laws, court order, or regulation, or would likely be offensive to the recipient. You are solely responsible for all data activity from and to your Equipment, regardless of who initiates the activity. Impersonation You may not use the Service to impersonate any person or entity, or falsely state or otherwise misrepresent your affiliation with any person or entity, or to create a false identity for the purpose of misleading others. Without limiting the foregoing, you may not use invalid or forged headers, invalid or non-existent domain names or other means of deceptive addressing. Software Viruses You may not use the Service to upload files or transmit any material that contains viruses, worms, Trojan Horses time bombs, auto-responders, cancelbots, corrupted files, or other code that manifests contaminating or destructive properties. To protect our customers, we monitor Internet ports that are considered to be security risks as determined by us in its sole discretion. Storage or Hosting You may not use the Service to store or host any material or information. The Service is provided merely as a conduit to allow you to access the Internet, to send and receive messages and files using third party email service providers, and to upload and download files on and from third party websites or servers at your sole discretion and control. Collecting Information You may not use the Service to store or collect, or attempt to store or collect, non-public personal information about third parties without their prior knowledge and consent. If your Device, user name or password is stolen or Service is fraudulently used, you must immediately notify us and provide us with such documentation and information as we may request (including affidavits and police reports). Until you notify us, you will remain responsible for all charges. LOCUS has the right to interrupt or restrict Service to your Number, without notice to you, if we suspect fraudulent, illegal, or abusive activity, including, but not limited to: (a) conducting business operations and practices; (b) offering or disseminating fraudulent goods, services, schemes, or promotions (e.g., make-money-fast schemes, chain letters, and pyramid schemes); and (c) individual or business representation as an authorized 3rd party affiliation or agent for a business entity (e.g., H2O® Wireless ) without the business' prior consent. You agree to cooperate with us in any fraud investigation and to use any fraud prevention measures we prescribe. Failure to provide reasonable cooperation may result in your liability for all fraudulent usage. You may not use the Service to make fraudulent offers to sell or buy products, items, or services or to advance any type of financial scams. You may not use techniques to hide or obscure the source of any e-mail or other communication. You are responsible for all data activity from and to your Equipment, regardless of who initiates the activity. For any Service that includes unlimited features, “unlimited” does not mean unreasonable use. H2O Unlimited *Plans may ONLY be used for the following purposes: (a) Person to Person Voice Calls (b) Text and Picture Messaging and (c) Internet browsing and ordinary content downloads. H2O Unlimited* Plans MAY NOT be used for certain unauthorized or unreasonable uses that adversely impact our service and other uses with a disproportionate impact on network resources and are therefore considered unreasonable. Examples of unauthorized uses include, without limitation, the following: (a) continuous uninterrupted mobile to mobile or mobile to landline voice calls; (b) monitoring services; (c) autodialed calls, automated text or picture messaging to another mobile device or e-mail address; (d) transmission of broadcasts; (e) telemarketing, or call center services; (f) an abnormally high number of conference calling; (g) calls or messages, calls of abnormally long duration. A customer engaged in unauthorized uses may have his/her Service throttled and/or terminated, with or without notice. H2O’s unlimited data or messaging features are provided solely for purposes of non-commercial messaging, Internet browsing, e-mail access, and the non-continuous streaming of data (e.g. downloading files). While most common uses are permitted by our data and messaging features, there are certain uses that cause extreme network capacity issues and are therefore prohibited. Our data and messaging services may not be used: (a) to generate excessive amounts of Internet traffic through the continuous streaming, downloading, or uploading of videos or other files, (b) to operate hosting services, (c) to maintain continuous active network connections to the Internet such as through a web camera or automated machine-to-machine connection or peer-to-peer (P2P) file sharing, (d) to disrupt e-mail use by others using automated or manual routines, including, but not limited to "auto-responders," cancel bots, or other similar routines, (e) to transmit or facilitate any unsolicited or unauthorized advertising, promotional materials, “spam,” unsolicited commercial or bulk e-mail or messaging, (f) for activities adversely affecting the ability of other people or systems to use either H2O's wireless services or other parties' Internet-based resources, including, but not limited to, "denial of service" (DoS) attacks against another network host or individual user, (g) for an activity that tethers or connects any handset/phone device to personal computers or other equipment for the purpose of transmitting wireless data over the network (unless customer is using a plan designated for such usage), (h) as a substitute or backup for private lines or dedicated data connections, (i) for abnormally long data transmissions, uploading, downloading or streaming of uninterrupted continuous video; or (j) for any other reason that, in our sole discretion, violates our policy of providing “unlimited” Services for non-commercial use. H2O will presume you are engaging in an unauthorized use in violation of these Terms and Conditions, if in H2O’s sole opinion, you are placing an abnormally high number of calls, or repeatedly placing calls of unusually long duration, or if your talk, text or data usage is harmful or disruptive to the Carrier’s network or service levels. If we determine, at our sole discretion, that you are using the H2O Unlimited Plan Service in violation of the H2O Terms and Conditions of Service, or in any other manner that we deem to be unreasonable or excessive, then we may terminate individual calls or data connections, terminate or reduce data throughput or terminate your Service, decline to renew your Service, or offer you a different Service plan with no unlimited usage component. LOCUS make absolutely no representations, warranties or guarantees about the Data Content you access through the Equipment. Data Content may be: unsuitable for children/minors; unreliable or inaccurate; or offensive, indecent or objectionable. You are solely responsible for evaluating the Data Content accessed by you or anyone using your Equipment. We strongly recommend that you monitor content access by children or minors. Prior to accessing certain content which may be inappropriate for children/minors, we may require you to provide certain personal information in order to verify that you are at least 18 years of age. Data Content from third parties may also harm your Equipment or its software. To protect our network or services, or for any other reason, we may place restrictions on accessing certain Data Content, impose separate charges, limit the amount of data you can access or transfer, or otherwise limit or terminate services. H2O reserves the right to act immediately and without notice to restrict, suspend, or terminate your use of the Network if it reasonably determines that your conduct may: (1) expose H2O to sanctions, prosecution, civil action, or other liability; (2) cause harm to or interfere with the integrity or normal operations of H2O's Network or networks with which H2O is interconnected; (3) interfere with another H2O customer's use of the Network; (4) violate any applicable law, rule, or regulation; or (5) otherwise present an imminent risk of harm to H2O or its customers. H2O has the right, but not the obligation, to monitor or restrict any uses of the Network that H2O reasonably believes in its sole discretion violates this AUP. You are solely responsible for all content that you transmit or receive utilizing the Network, and you are responsible for abuse of your account by others. We may also access and disclose any information (including transactional information) related to your access and use of our Network for any lawful reason, including but not limited to: (1) responding to emergencies; (2) complying with the law (e.g., a lawful subpoena); (3) protecting our rights or property and those of our customers; or (4) protecting users of those services and other carriers from fraudulent, abusive, or unlawful use of or subscription to such services. INDIRECT OR ATTEMPTED BREACHES OF THIS POLICY AND ACTUAL OR ATTEMPTED BREACHES BY A THIRD PARTY ON BEHALF OF A COMPANY, CUSTOMER, OR USER MAY BE CONSIDERED BREACHES OF THIS POLICYBY SUCH COMPANY, CUSTOMER, OR USER. Any failure to insist upon or enforce performance of any provision in this Policy will not be construed as a waiver of any provision or right. Neither the course of conduct between the parties nor trade practice will act to modify any provision in this Policy. H2O may assign its rights and duties under these terms to any party at any time without notice to you. If any provision of this Policy is deemed unlawful, void, or for any reason unenforceable, then that provision will be deemed severable from these terms and conditions so that it does not affect the validity and enforceability of any remaining provisions. All devices or SIM cards purchased through www.h2owirelessnow.com may be returned or exchanged within 14 days after the delivery of your purchase. h2o Wireless will not accept returns/exchanges for items not purchased directly from h2o Wireless including purchases from authorized h2o Wireless dealers or retailers. Please read the terms below thoroughly. • All accessories including but not limited to charger, battery, and battery cover For restrictions, please see Section (4). The above address is ONLY intended for product returns. No written correspondence should be sent to this address. h2o Wireless will reject packages that arrive with “postage due.” h2o Wireless is not responsible for lost or mishandled packages. For free return shipping, please use the Return Label included in your original shipment, along with a completed Return & Exchange Form. If the Return Label is not used, any shipping charges you pay are not refunded by Locus. h2o Wireless does not exchange products purchased on www.h2owirelessnow.com unless specifically requested on the Return & Exchange Form. Please allow up to 4 – 6 weeks to receive your credit card refund which will be applied to the credit card account to which your purchase was initially charged. Prepaid account balances and original shipping and handling fees are not refundable. If a SIM Card or accessory is missing, you will be charged a restocking fee of (15)% of the purchase price (except where prohibited by law) but may still be eligible for a refund on the device. If a Hard Card is missing/scratched/used, the Hard Card will not be eligible for a refund. Please refer to the warranty provided with your product for instructions if your device is subject to a manufacturer’s warranty and you wish to make a claim under that warranty. Terms of this Return Policy are subject to change. h2o General Terms and Conditions apply. H2O Wireless strives to provide hearing aid users with the most compatible wireless device possible. To ensure the deaf and hard of hearing can use digital wireless devices, the Federal Communications Commission (FCC) updated the Hearing Aid Compatibility Act of 1988 ("HAC Act”), passing regulations to increase the number of hearing aid-compatible wireless devices. The following listed handsets have been tested to perform better with hearing aids and are also compatible with H2O Wireless services. The handsets in red are available for purchase through h2owirelessnow.com as of January 2012. 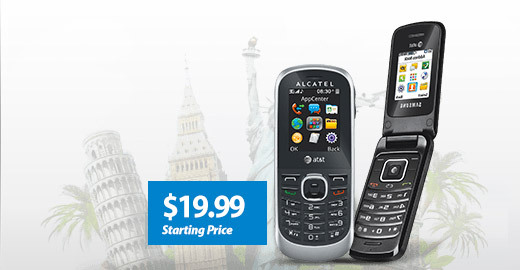 * This phone has been tested and rated for use with hearing aids for some of the wireless technologies that it uses. However, there may be some newer wireless technologies used in this phone that have not been tested yet for use with hearing aids. It is important for the customer to try the different features of this phone thoroughly and in different locations, using their hearing aid or cochlear implant, to determine if they hear any interfering noise. The customer may request additional information from H2O Customer Care or the manufacturer of this phone concerning hearing aid compatibility. The NCCD is available from 8 a.m. to 1 a.m. ET, Monday through Friday, and on Saturday and Sunday from 9 a.m. to 10 p.m. EST.